Project Fellow: Applicants who have completed B.E. / B.Tech. Chemical Engineering/ Technology/ (Minimum 55% marks) or equivalent M.Sc. 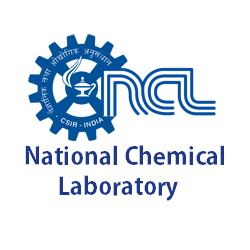 Organic Chemistry/ Analytical chemistry (Minimum 55% marks) or equivalent from a recognized Institute for CSIR-NCL Recruitment 2018. Research Associate: Applicants who have completed PhD in Chemical Engineering/ Organic Chemistry or equivalent from a recognized Institute for CSIR-NCL Recruitment 2018. Eligible Applicants advised to Download and read CSIR-NCL Job notification to get aware of recruitment schedule and venue from the official website. Applications giving full particulars in the following format may kindly be submitted: (1) Name of the applicant, (2) Date of Birth, (3) Educational Qualification (furnish details commencing from SSC), (4) Experience and full details, (5) Address for communication, (6) Telephone No./Email address, if any.The application with the above information duly signed together with photo-copies of relevant certificates/testimonials should be addressed to…….